On Saturday November 23rd at 1pm sharp, Rosehaven Homes is offering a new opportunity for growing families to live amid the forest and open countryside of Mount Albert in East Gwillimbury. The detached homes that make up Victoria Highlands, a new enclave steeped in small town charm, will officially go on the market. Visit the sales centre at Ninth Line and Mount Albert Road to see what the community just north of Stouffville is all about. 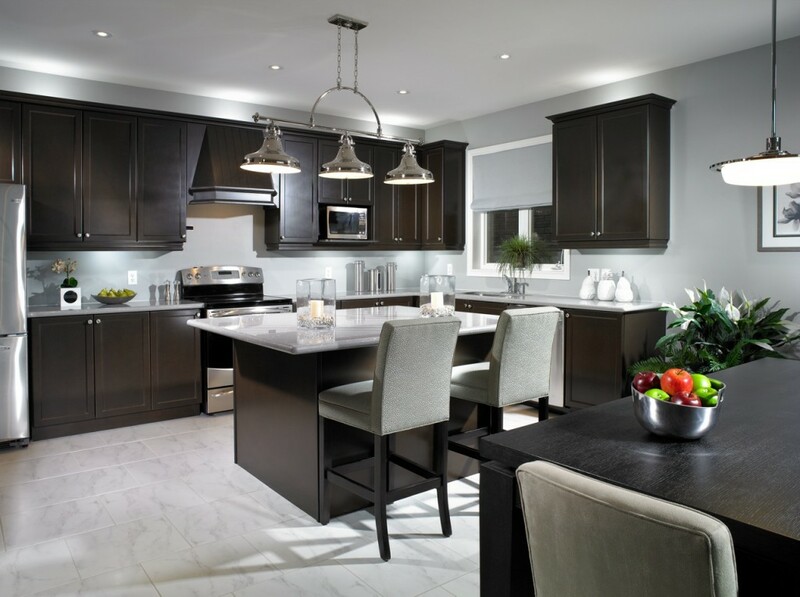 Rosehaven Homes is offering 10 detached 50-foot designs, including bungalows and bungalow with loft designs. Also available? Expansive two-storey plans that feature up to 3,630 square feet of space. Many of the homes will also be set on leafy forest lots. At 130-feet, they’ll provide ample running-around space for your kids and a quiet space to unwind after work. Inside, the residences feature 9-foot main floor ceilings and plenty of elegant flourishes such as art niches, coffered ceilings, curved archways and decorative columns too. Highly functional features were incorporated in each of the rooms. The kitchens come with extended upper cabinets so you’ll never run out of storage space, plus pantries, breakfast counters and islands. The master bedrooms are luxe retreats outfitted with walk-in closets and ensuite bathrooms. Though the setting of Victoria Highlands is off the beaten trail, it’s still close to the urban amenities of Newmarket. With Highway 48 close by, traveling south to the City of Markham is also a breeze. Or if you’re hoping to make the trip up to cottage country, just head north on the highway. There’s also new infrastructure planned for the area with an extension opening next year that will connect Highway 404 all the way to the nearby Ravenhoe Road. Residences start from 2,000-square feet. Photo shown of Powell is representative of actual model as built in Ancaster. Landscaping, interlock paving stone, screen doors and decorative glass inserts in front entry doors are not included. Railing installed only if grade requires. Specifications correct at press time. E. & O.E. For more information contact rosehavenhomes.com.